“Awesome” isn’t a strong enough word to describe the grandeur of Gunlom (part of Waterfall Creek), deep within Kakadu National Park in the Northern Territory (NT). So … for once, I’ll let the pictures do the talking! Well … some of it, anyway! 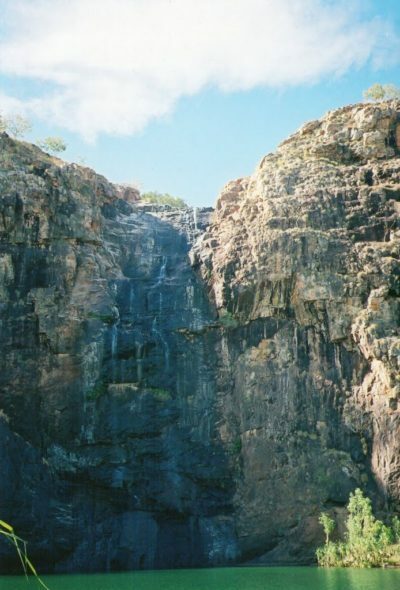 A highlight of our 2008 trip to the NT, Gunlom’s delights don’t all come easily – the steep, rocky 1km walk to the pools at the top of the waterfall probably shouldn’t be done in 35 degree heat, or at the hottest time of the day! It’s not for the fainthearted – or the unfit – either. But … not to be outdone by the Grey Nomad grandmother with foot problems who’d told me all about how she’d managed the climb the day before, I cast those concerns aside and headed for the top. All I wanted to do when I reached the top was plunge into the pool to cool off – at any cost! So, dumping my backpack into a random rocky crag, casting outer clothing aside and pushing hapless tourists out of my way, I did!! Once I’d recovered, I could appreciate the magnificent rewards of this fabulous spot. The pools at the top are clear, cool and offer amazing views over the edge to the pool below the drop to the falls. If you’re foolish enough to stand at the edge and look over, that is. I guess this proves I did! And how high was the drop upon which I was standing? To put you in the picture – you can see the lip where the water goes over the falls in the top photo above – and in the one above. You can see the pool at the bottom in the middle photo – and also at the bottom of the one above. In short – if for some reason I was washed over the edge of the pool in the top pic, I’d end up falling all the way down the falls to the left and end up in the pool in the middle photo. What was left of me, that is! And what you can’t see is the assistance from Pilchard without whom I’d never have considered even approaching the edge. Steadier nerves than mine are required for such an undertaking. But … it’s the adrenaline rush that helps make this an awe-inspiring Oz Top Spot! Enjoy! And check it out for yourself one day! Hey Cathy! 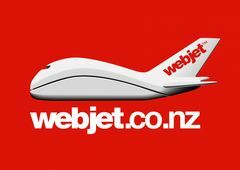 Thanx for your feedback – nice to have your comments as always. Hope you make it over here one day!! Wow, great photos. I love the photo of the falls. We have spectacular falls here in the Northwest too. I do hope to visit Australia some day. Hey, L’Aussie! Thanx for dropping by! Look forward to your articles too! It’s great to get the feedback – which anyone else reading this should take as a strong hint!! Awe-inspiring alright! Kakadu is certainly awesome and so much to see. We took an aboriginal tour of the Yellow River on our last trip. Was great to have someone pointing out all the different animals etc. Yep, I’ve done it again! For those of you bored with my current pictureless travels, consider this an interlude until I return with more news!